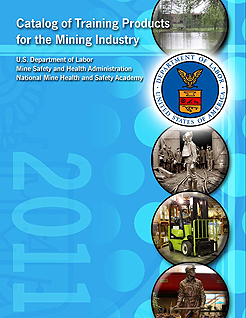 Welcome to the 2011 edition of the Catalog of Training Products for the Mining Industry. The catalog is presented in PDF. You may search the catalog using the "Search" option provided by Adobe Acrobat Reader.